Catch up on all the action from a crazy race at Coffs Harbour on the weekend , the Mountain Bike Australia - MTBA National DHI Round 1 with a great report from Gravity Down Under. With some words from the man himself Jack Moir about how he won with a multitool stuck in his axle! Huge thanks to Coffs Downhill for putting on the race and building & maintaining the track! Welcome to the next exciting review on products provided to us by our friends at Mountain Bikes Direct. We've teamed up with one of Australia's best online mountain bike stores to bring you in depth reviews on the latest and most intriguing parts and accessories you can purchase for your bike. 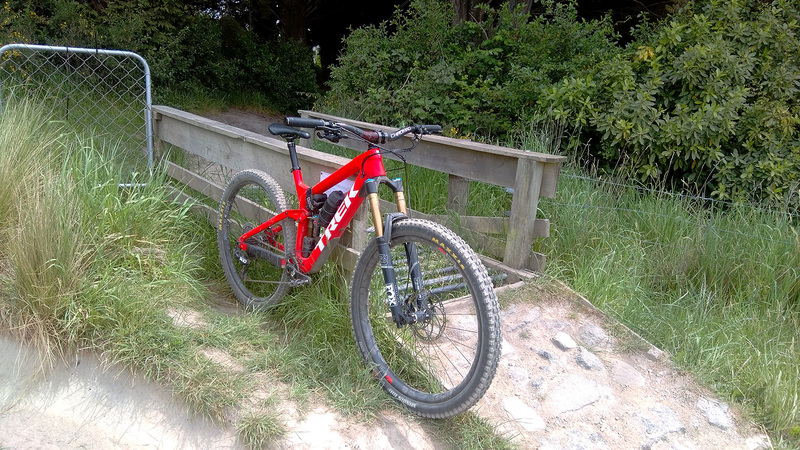 Member Zaf has posted his review of the Slash. So I received delivery of a Trek Slash in July last year in anticipation for my journey to New Zealand in November, and been putting it through its paces for a little while now. It's currently out of action because of snapped main pivot bolt awaiting spare parts before it's back up and running. A few of the parts have yet to be ridden, awaiting that final change, mainly the new suspension package and the dropper. Road bikes on a Mountain Bike website!! have we lost the plot?? Yes, it seems. As life moves on, circumstances change. When getting up at 4am to get your mountain biking fix still doesn’t leave you enough time to get back to your household zoo for witching hour, an ominous cloud of spandex creeps into view. A word of warning, this review is blended with plenty of notes of my experience as a road rookie. Hopefully helpful to anyone looking at giving it a go. 14 years is a long time in the computer world. The fact that Rotorburn (previously Farkin) has been around that long makes me feel quite old. At the risk of getting all nostalgic it's been a long time for us who are still here *sniff*. Another shout out goes to our moderators that have done a fantastic job keeping the place clean for all these years. It takes a great deal of patience and time to be a moderator, always the unsung heroes of the Internet forum. Without them, pandemonium ensues. What should I buy - Norco sight or canyon Spectral?